Two new Sony digital cameras for the Cybershot line has been announced; they are the Sony Cyber-shot DSC-T50 and Sony Cyber-shot DSC-N2 models. 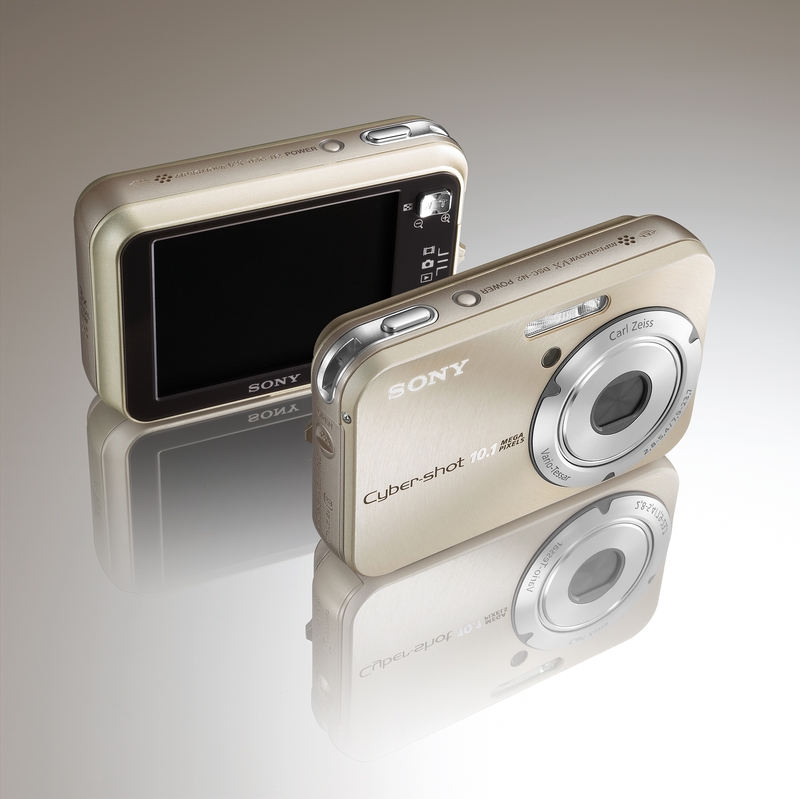 SAN DIEGO, Sept. 10, 2006 – It’s easy to pocket your screen gems and dazzle audiences with Sony’s new Cyber-shot DSC-T50 and DSC-N2 digital cameras, featuring three-inch touch-screen displays and built-in slide show capability. You can use your photos to craft dynamic, personal narratives with in-camera slide shows – complete with your own music and transition effects such as pans, wipes and fades. The ultra-slim and stylish DSC-T50 model is the new top-of-the-line camera in the T-series. 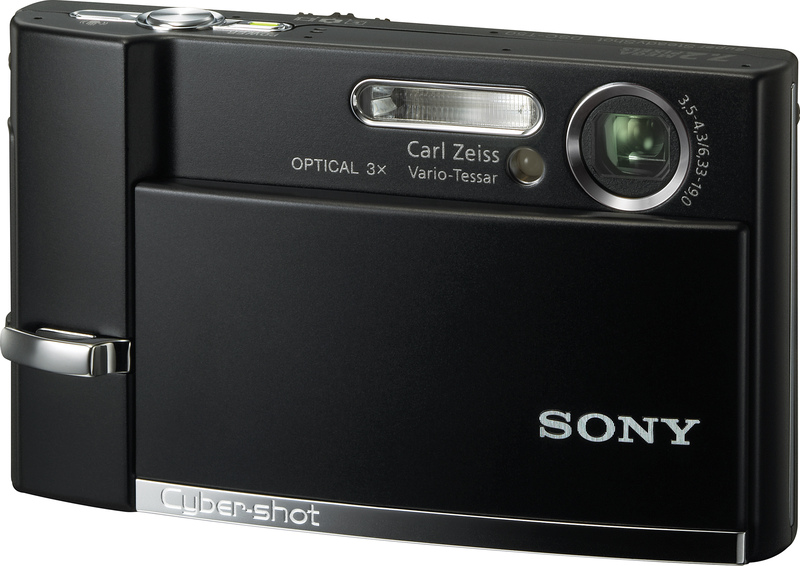 It is equipped with a seven-megapixel CCD imager, a Carl Zeiss Vario Tessar 3x optical zoom lens, and 56 MB of internal memory. 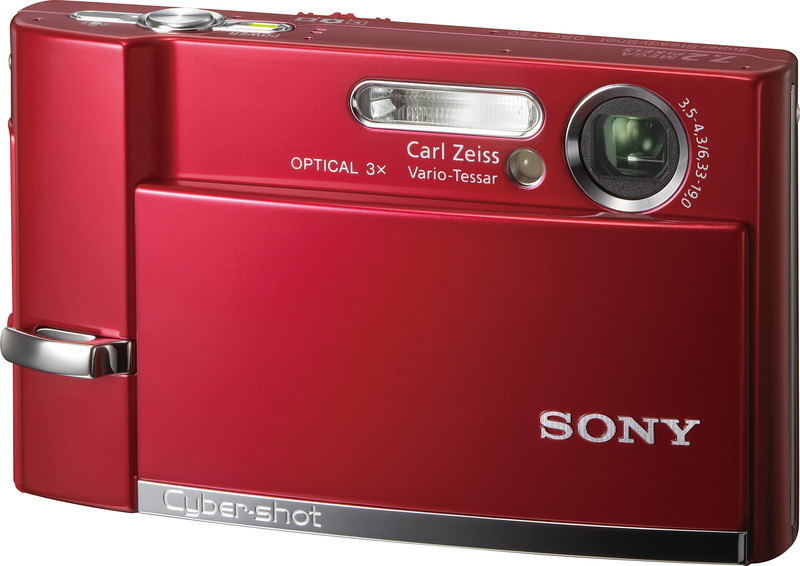 This camera shines with its performance and looks, shipping in bold red, black and silver. With pictures stored on an optional four-gigabyte Memory Stick Duo or Memory Stick PRO Duo media cards, the camera can play back more than 1,100 high-resolution images in slide show mode. Taking great photos with the DSC-T50 and DSC-N2 cameras will be as enjoyable as sharing them. With shutter lag reduced to milliseconds, you can snap away until the whole story is told. Sony’s Real Imaging Processor circuitry delivers fast response times and helps to prolong the life of the cameras’ supplied Stamina InfoLithium batteries — up to 400 shots per full charge for the DSC-T50 model and 300 shots per full charge for the DSC-N2 camera. These new models feature blur reduction technologies to help you get the shots you want, even in some of the most challenging conditions. The Cyber-shot DSC-T50 camera offers Super SteadyShot optical image stabilization to minimize blur caused by shaky hands. Both of the new models incorporate high light sensitivity, up to IS0 1000 for the DSC-T50 camera and IS0 1600 for the DSC-N2 model, to facilitate shooting without blur at faster shutter speeds– a necessity when capturing fast-moving subjects or taking photos in low-light environments. The Cyber-shot DSC-T50 camera ships in October for about $500. Optional accessories include the HVL-RLS ring light, used for close-up shots, for about $100, NP-FR1 InfoLithium battery, and LCJ-THA leather carrying case for about $40. The DSC-N2 model also hits stores in October for about $450. Optional accessories include the MPK-NA marine pack for about $200, NP-FT1 InfoLithium battery for about $50, and LCS-NA leather carrying case for about $50. It will be available online at sonystyle.com, at Sony Style retail stores (www.sonystyle.com/retail), and at authorized dealers nationwide. Pre-orders begin on Sept. 12 at www.sonystyle.com/T50 and www.sonystyle.com/N2.